Canada is definitely the ultimate tourist destination. 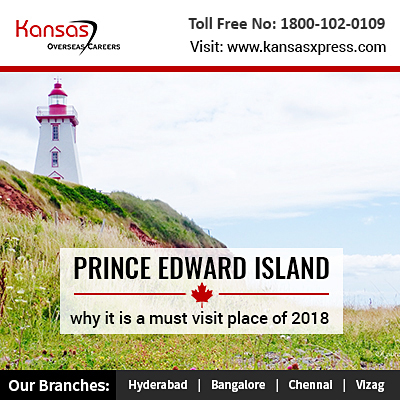 The smallest province of Canada that is Prince Edward is also one of the best places to visit. There are a number of reasons for this. Here are a few of them. This is a must visit place for those who have a passion for golf. This place has 33 golf courses. Ten golf courses are considered to be among the best golf courses of the country. This is the place where you can get really delicious food. You can enjoy a large variety of seafood like lobster, mussels, oysters etc. You surely cannot miss out on their famous and delicious PEI potatoes. There is lots of activity happening throughout the year on this island. In the fall, there is the famous Shellfish Festival. In the Charlotte Festival you can enjoy Anne of Green Gables – The Musical. There is food festival and there are many musical events happening on this island. This place has some of the best facilities and infrastructure. It is one of the best places to organise events and meetings. Their Meeting & Convention Centre is amazing. If you love beaches then you will love this amazing place. Close to city of Charlottetown there are some really picturesque beaches. The provincial capital town that is Charlottetown is a wonderful place. It has some of the best places to visit. The place has some really good food and shopping hubs. You must enjoy the hospitality of this cultural town of Canada. One of the main concerns that you have when you go abroad is whether the place is safe. Well, this place is absolutely safe and secure. This island has a number of beautiful places which one must visit. There is lots of activity that you can enjoy here. You can go fishing or explore the culture and history of this place or go for a coastal drive. You need not be worried about your stay in this place as there are a number of good hotels depending on one’s budget and preference. This place has good connectivity. It’s well connected by car, plane, ship, or boat. So getting there is really easy. Want to visit PEI? Then here is how you can apply for Canada Tourist visa! In order to visit PEI you will have to apply for a Canada tourist visa. You can either submit the application online or you may submit the application at a local visa office. You will have to submit details and copies of your valid passport. You will also have to submit medical certificate, character certificate and in some cases letter of invitation. Applicant also needs to submit proof of funds and he must leave the country before the visa expires.